Yet Another Podcast returns with a great show with Mike Bluestein from Xamarin, talking about Xamarin Past, Present and Future. Xamarin recently released Xamarin 3, and with it Xamarin Forms, greatly simplifying the process of creating cross platform applications. 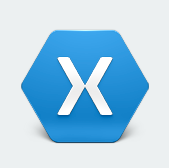 This entry was posted in Podcast, Xamarin and tagged YapCast. Bookmark the permalink. keep updated with drawing close post. Thanks one million and please continue the enjoyable work.